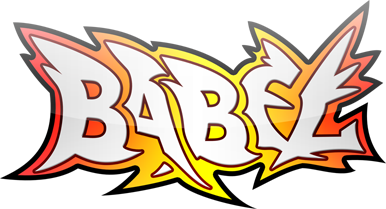 Welcome to Babel, your new frontline source for Korean Elsword translations! For some time now, the quality of Elsword HQ’s translations have been dropping immensely. The turning point came with Elsword HQ’s complete inability to translate an event notice that turned out to be one of the most profitable event in Korean Elsword’s history, causing the entire English community to miss out on potential earnings of possibly billions of ED per person. Following this gaffe, the super pretty and generous Conspire decided to step in to create a new partnership between his Korean connections and Elsword HQ to ensure that English-speaking players would never again be at a loss for translations. The end result was the website you see now: Babel. We will be working to provide you with up-to-date and immediate translations of patch notices, event notices, changes in KR policy and so forth. As an on-going project, we also intend to take on other aspects of interest – storyline translations, common Korean phrases, etc. Finally, we will also strive to generate original content that would otherwise be inaccessible to the average North American player – for instance, interviews with and guides from the top Korean players. Without further ado, I introduce you to our (growing) team! I am so pretty! Currently dedicated to Aisha. I take Biology and Computer Science at my university. I’m a third year college student who likes to watch anime as a hobby. I’m a student at UCLA! My major is psychology. I’m glad to participate in this site! Stop being retarded and check the “Comics” tab at the top? Maybe we have them translated already? Kill yourself. How does someone so rude like you get such an important position on Elwiki and Babel? I have no idea. At least he left. That was a rather massive request, they’re here for a reason, its like asking Honda to fix your washing machine. Not rude at all, just well placed. Nope, that was rude. There were better ways to say “no”. yay, ableism and slurs! also death threats! I think i saw a version similar at batoto, different name, try search elrios? You know what would be funny? If Elsword KR implement an IP Block on North American users! Because I believe character balancing become worse and worse. I play on elsword INA though.. I agree with what you said, base on a NW skill, I remember when her skill Karma pushed, I wonder why they make it launch instead, there is a lot of skills more powerful than her 300 lock skill. What Event is that ? Does any1 know if there are translated official manhwa? Is there anyway to contact team members specifically? Thanks. Man. if you cant handle BM thats not the KOG’s fault. search vids on YT and learn. BM is pretty balanced atm. you just need to use brain. i have BM lvl45 and he is s+. 2. TH still oc ( cz gold coin can sell) but other job like blacksmit ..nothing upgrade? Español: Buenas quisiera hablar con algunos de ustedes (equipo de Babel). En privado de ser posible para poder platicar referente a unos proyectos. Gracias. English: I would like to speak with some of you (team of Babel). In private if possible to be able to talk about some projects. If i may, Thank you.